Below you fill find all funeral homes and cemeteries in or near Solomon. Zip codes in the city: 67480. Some of the notable people born here have been: (archie w. butcher). Solomon is a city in Dickinson and Saline counties in the U.S. state of Kansas. As of the 2010 census, the city population was 1,095. It is located approximately 6 miles west of Abilene. It was written by Kearney Hub on December 5th, 2018 that Paul Eisenhauer passed on in Omaha, Nebraska. Eisenhauer was 84 years old and was born in Solomon, KS. Send flowers to share your condolences and honor Paul's life. It was noted on February 2nd, 2016 that C J "Neil" Vanderwilt died in Charleston, West Virginia. Vanderwilt was 96 years old and was born in Solomon, KS. Send flowers to share your condolences and honor C J "Neil"'s life. It was disclosed by Peoria Journal Star on November 6th, 2015 that Mary B Schmeiser (Dodds) perished in Farmington, Illinois. Ms. Schmeiser was 97 years old and was born in Solomon, KS. Send flowers to express your sympathy and honor Mary B's life. It was revealed on September 2nd, 2014 that Keith Clarence Carlson passed away in Lincoln, Nebraska. Carlson was 80 years old and was born in Solomon, KS. Send flowers to express your sorrow and honor Keith Clarence's life. It was disclosed by Salina Journal on May 22nd, 2014 that Wyona Blanchard (Johnson) passed on in Solomon, Kansas. Ms. Blanchard was 76 years old and was born in Huron, SD. Send flowers to share your condolences and honor Wyona's life. It was written by Salina Journal on March 30th, 2014 that Helen Shirak (Reed) died in Solomon, Kansas. Ms. Shirak was 86 years old. Send flowers to express your sorrow and honor Helen's life. It was disclosed by Salina Journal on February 8th, 2014 that John Wilbur passed on in Solomon, Kansas. Wilbur was 79 years old. Send flowers to share your condolences and honor John's life. It was noted on October 16th, 2013 that Pauline M Hemmy (Wood) perished in Solomon, Kansas. Ms. Hemmy was 76 years old. Send flowers to share your condolences and honor Pauline M's life. It was reported by The News Tribune on May 29th, 2013 that Erma J Burgess (Higgins) passed on in Puyallup, Washington. Ms. Burgess was 94 years old and was born in Solomon, KS. Send flowers to share your condolences and honor Erma J's life. It was disclosed by Wamego Times on January 3rd, 2013 that Jack E Park passed on in Solomon, Kansas. Park was 80 years old. Send flowers to express your sorrow and honor Jack E's life. The population was 1,072 at the United States Census, 2000 census. 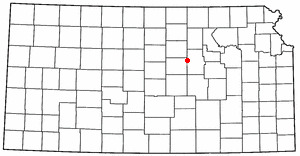 Solomon is a city in Dickinson County, Kansas and Saline County, Kansas counties in the US state of Kansas. . . . The official website for the city of Solomon is https://www.facebook.com/City-Of-Solomon-278742504675/. Find monuments & Monuments in Solomon, KS. Read business reviews, find driving directions, and more. monuments on YELLOWPAGES.COM. Carlson-Becker Funeral Home, Solomon, KS : Reviews and maps - Yahoo! Local, 785.655.3431. Get Ratings, Reviews, Photos and more on Yahoo! Local. Carlson, Richard - Carlson-Becker Funeral Home, Solomon, KS : Reviews and maps - Yahoo! Local, 785.655.3431. Get Ratings, Reviews, Photos and more on Yahoo! Local. We work with local florists and flower shops to offer same day delivery. You will find budget sympathy flowers in Solomon here. Our funeral flowers are cheap in price but not in value.